From Sarasota go south on SR 41 [S. Tamiami Trail]. 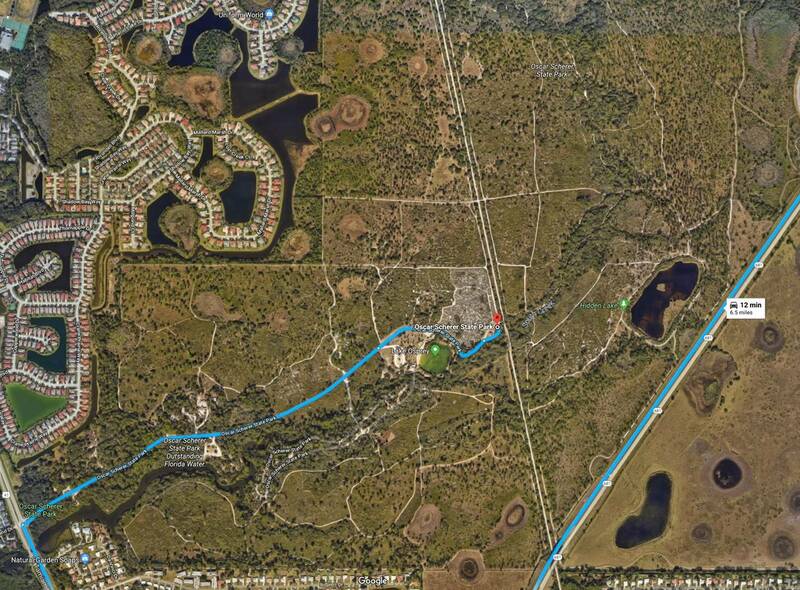 Park entrance is on the left approx 2.1 miles after the center of Osprey. 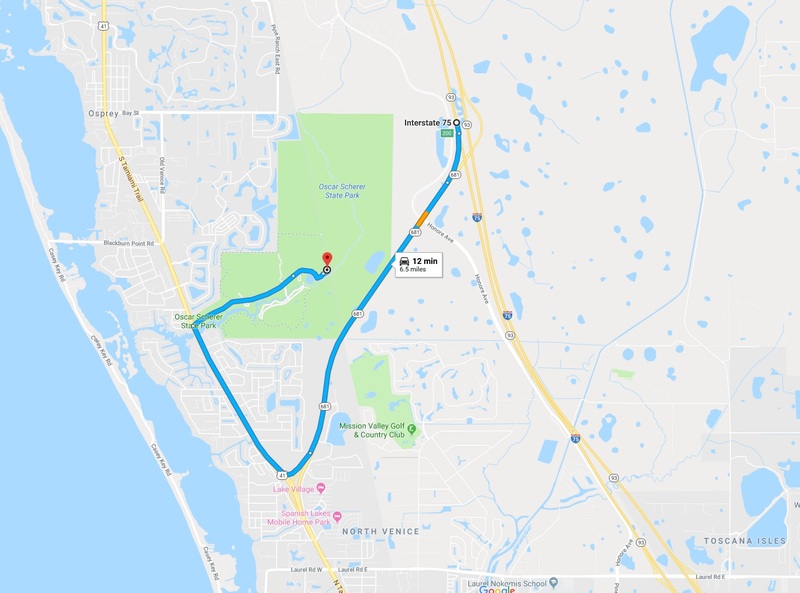 From Venice go north on SR 41 [S. Tamiami Trail]. Park entrance is on the right approx 1.8 miles after the FL 681 exit.